Meh. I picked this one because I saw Judy Geeson, who had appeared in dozens of British shows in the sixties and seventies, was in the cast. She started showing up on American dramas like Murder, She Wrote and Hotel in the eighties. Here, she’s cast as a French con artist. 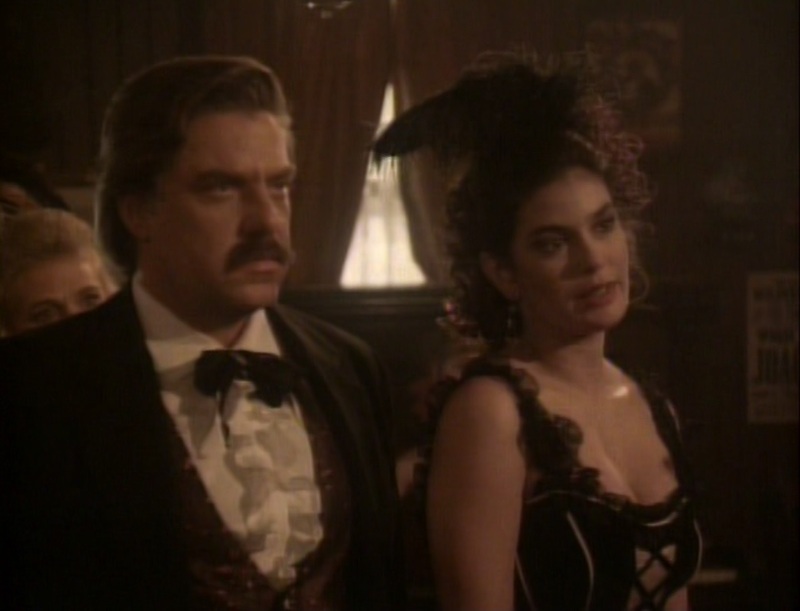 Is she going to ensure that Jack Dalton’s latest get-rich-quick scheme will blow up in his face again? Of course! I dunno. Dr. Plausibility had a whole lot of problems with this script, particularly with an unbelievable French police inspector. There are certainly a few fun moments. Our son absolutely loved MacGyver’s nitrogen-powered battering ram, and I adored the camera lingering on Richard Dean Anderson’s long, long slow burn of disbelief as he realizes that he’s letting himself fall for this nonsense again. Writer Stephen Kandel has constructed better stories than this before, but it sparked a few smiles. 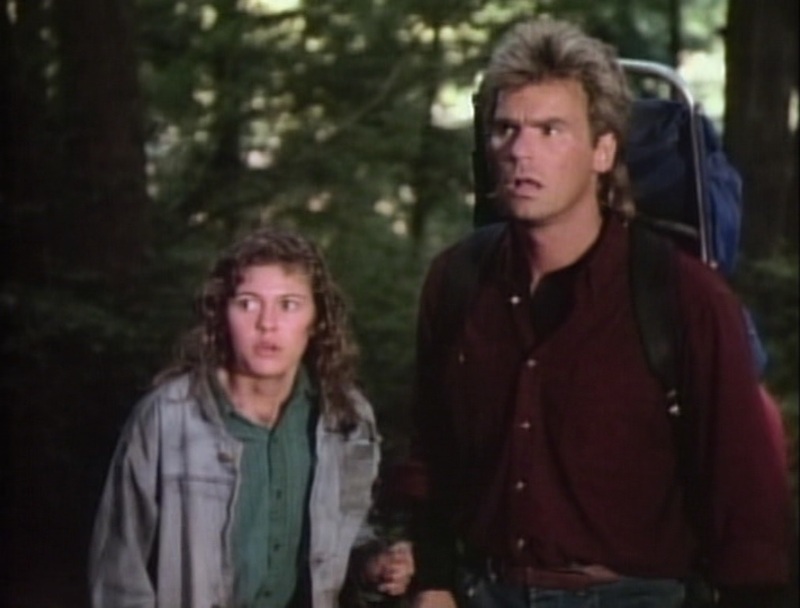 And so now back to the 1987-88 season and another ten episodes of MacGyver. 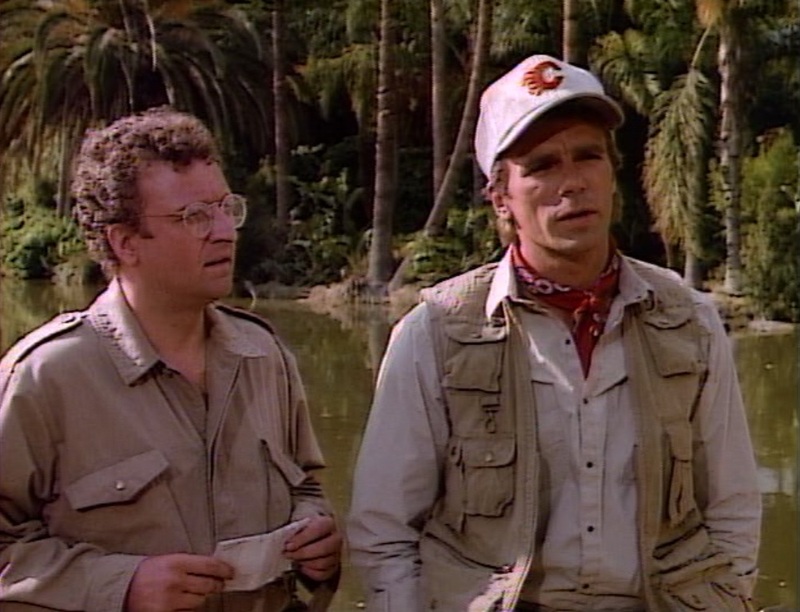 I see that the production of MacGyver moved from Los Angeles to Vancouver between seasons two and three. Looking at eighties LA has been one of the more interesting things about even the weaker episodes, blast it. Fingers crossed! This one, written by Stephen Kandel, at least starts like it means to be memorable. Mac is in the Alaskan wilderness doing the most difficult phase of a mapping project when he spots an abandoned freighter just chilling in an inlet on the river. It doesn’t look like anybody’s aboard, so what’s going on? Sadly, what starts intriguing, and includes one effective shock scene when a window gets broken, rapidly deteriorates into an inevitable Scooby Doo plot. It’s obvious to adult eyes where this mess is going, but our son is young enough to have enjoyed the shocks, even if the unmasking left him a little discouraged. 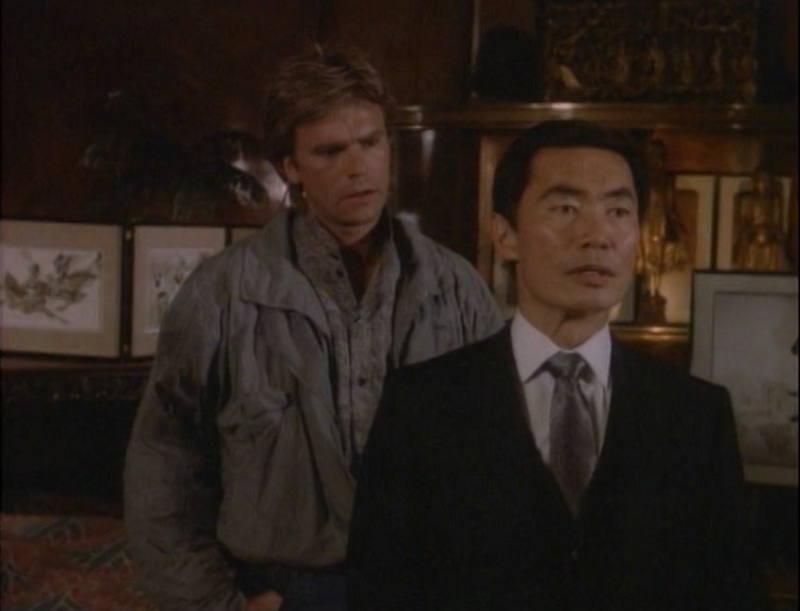 I picked tonight’s episode of MacGyver because George Takei is in it, but it turned out to be among the better episodes that we’ve seen. “The Wish Child,” written by Stephen Kandel and Bill Froelich, is about a scam that a Chinatown con artist is playing on a very wealthy sucker, played by the prolific James Hong, who has indeed been in just about everything. IMDB lists him with an amazing 424 credits, and even though most of his most recent work has been voiceovers, you’ve seen or heard him in a thing or twelve. 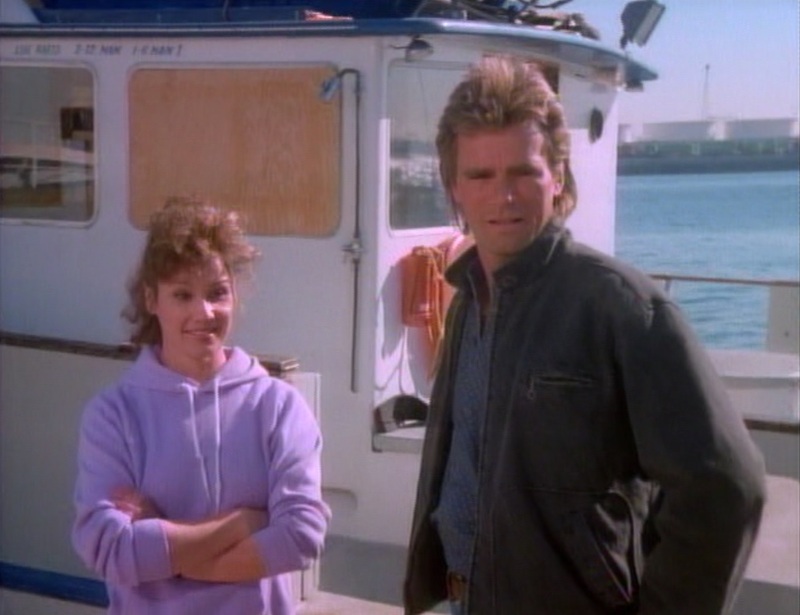 Tia Carrere also appears in a small part, topping and tailing the episode as another very good friend of MacGyver’s that we never hear about before or after this story. Our son was most taken with the bit that I also enjoyed the most. 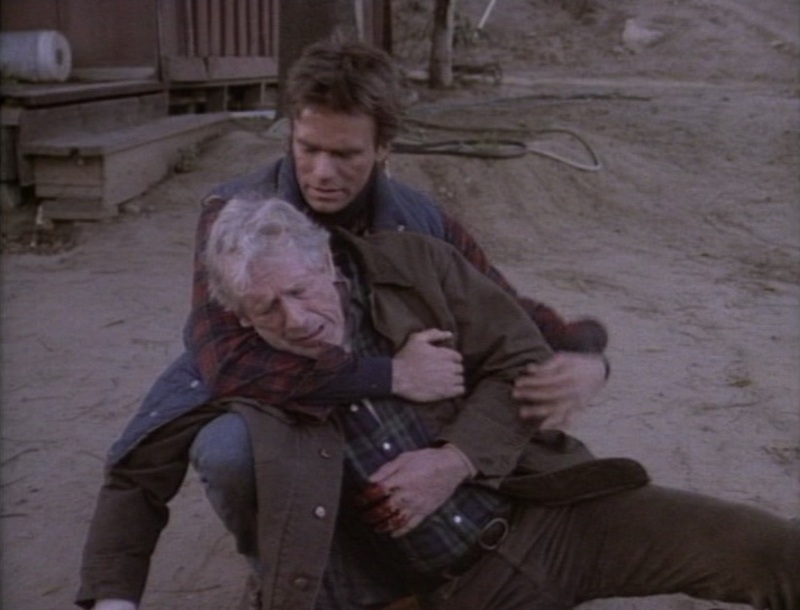 In order to get on board Hong’s character’s freighter, MacGyver coats himself with dirt, grease, and oil, and stomps past the guards carrying a random assortment of machine parts. His voiceover explains this as an old Minnesota trick: he’s filthy enough to register as untouchable. Nobody wants to touch the untouchable! Takei’s character meets his end in a remarkably silly scene. It turns out the wealthy sucker may be gullible enough to fall for a scam about the reincarnation of a legendary “wish child,” but he’s also a ruthless criminal himself who intends to enslave the boy and kill any witnesses. So Takei takes a bullet to the chest while he’s talking to MacGyver, and the assassin just leaves… but MacGyver’s heard the whole story and is now a witness to both the scam and the new murder. Talk about a loose end! I bet that assassin doesn’t mention this when he gets a job interview with some other ruthless criminal. Everybody remembers that one episode of McMillan & Wife where they’re trapped in the house with a big pest control bag. 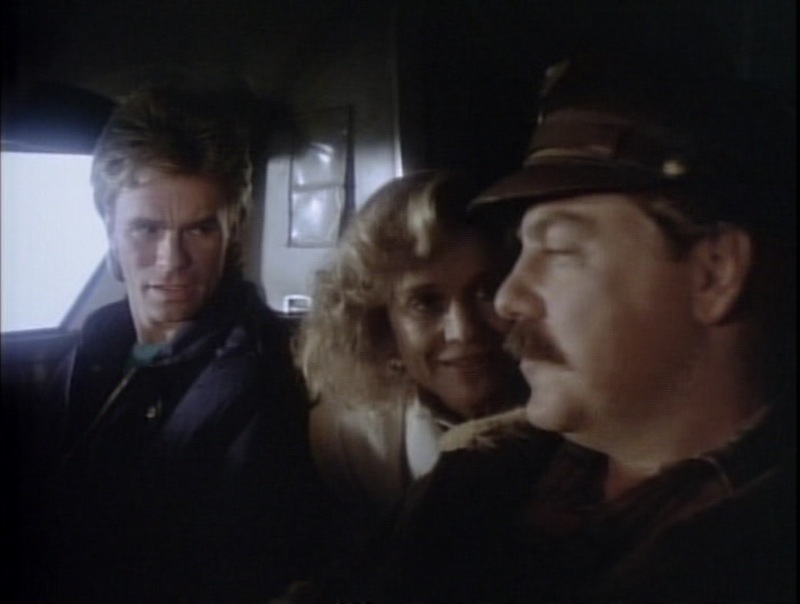 This is the MacGyver equivalent, where Mac, his boss Pete (who had been introduced in episode eleven), and guest-star-with-an-obvious secret Wendy Schaal are trapped in what was supposed to be an agency safe house in Los Angeles. Our son wasn’t as pleased with this adventure, written by Stephen Kandel, as the others that we’ve seen. I think his main objection is that MacGyver spends too much time smooching the guest star. 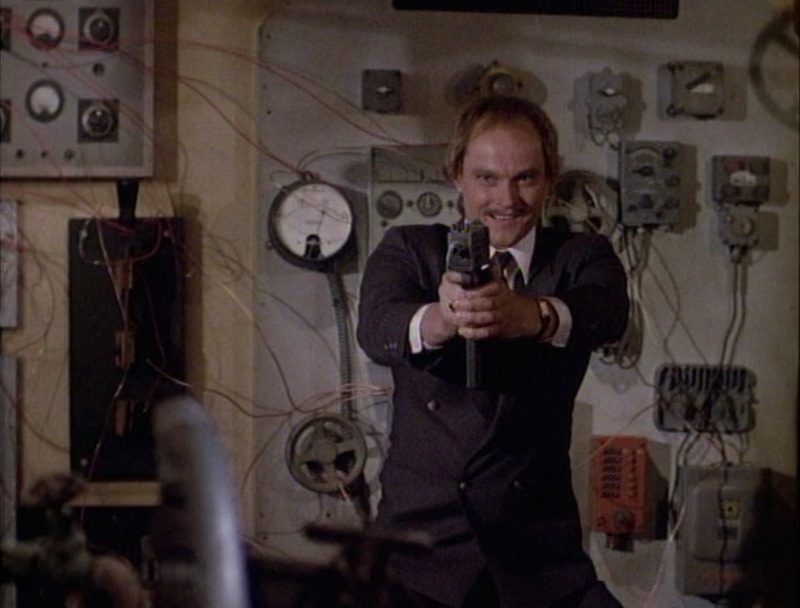 The villain, Quayle, is played by Christopher Neame, a British actor who I believe had only recently moved to America. To me, he’s best known for playing the incredibly entertaining villain Skagra in the never-completed-for-years Doctor Who story “Shada,” but he has a list of credits a mile deep. It looks like Neame will return as different characters later in this series. Shame; Quayle might have made a good recurring baddie. The opening gambit this time features the most shameless overuse of repurposed footage so far. This time, they pilfered whacking great chunks from the bridge sequence in Funeral in Berlin and cut to some shots of Mac in the casket. I didn’t time it, but I bet three-quarters of that scene is culled from the movie.